Tenant Resource Center's 35th Anniversary and Silent Auction! 35 years of service in the community! Get your holiday shopping done early at our silent auction and raise a toast to housing justice in Wisconsin. The suggested donation is $25 per person. All are welcome and no one will be turned away for lack of funds. Help us make it our luckiest "Friday the 13th" fundraiser yet! For 17 years the county has served Dane County residents, so City of Madison dollars were used to subsidize people in the City of Madison, who are also in the City of Madison. With Dane County pulling their funds, we don’t have enough funds to serve everyone in the City of Madison, since the County was helping to serve Madison rensidents. 1/3 of an organization’s budget means that more of our dollars need to go to pay for copiers, phone services, our administrative positions to do all the reports required to get our funding and support our volunteers and all the other infrastructure that goes into running a business. When 1/3 of your partners pull their money, that infrastructure is shaken and jeopardizes the services to the other partners (UW and City of Madison) as we have to shift our dollar to cover essentials to keep a business open. Current our Housing Counseling Program is most in jeopardy. At the moment, the city pays $16,000 for rent, $3,500 for supplies and $34,000 for staff for housing counseling- so about one staff person is paid the city required living wage and health insurances and taxes. One person, with no support can’t serve all the residents in the City of Madison and do outreach to neighborhoods, youth groups, seniors groups, etc. Not to mention that without infrastructure to keep up with brochures, the website, keeping on top of law changes, this person can’t do their job. With the county pulling essentially 2.5 staff people, and since we only have a staff of 7.5 people, this no longer works. 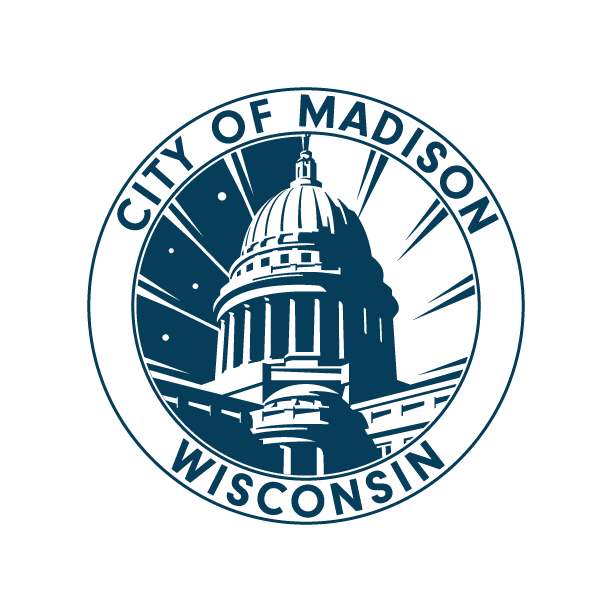 Please ask the city council members to add $50,000 for the Tenant Resource Center to serve tenants in the City of Madison, its a small amount given that half the households in the City of Madison are renters. We need support of our core services. Amendments for the Board of Estimates are due this morning by noon. Email allalders@cityofmadison to ask them to support TRC, or give them a call if you have the time! Tonight the county board will be hearing testimony about priorities for this year’s budget. It’s the last chance you will have to address the full county board on the budget, since they don’t allow public testimony the evening they do the final vote on the budget. Thank you to everyone who attended County Executive Joe Parisi’s listening sessions (that didn’t seem to have any impact) and the Human Services hearings in early September. As of today, no supervisor has sponsored an amendment, several are considering it, but the first deadline for Human Services amendments was Monday at 10am and nothing was submitted. The final deadline for an amendment at Health and Human needs is Monday at 10am, but we need supervisors who represent people outside the City of Madison to support an amendment. Tonight is our chance to address the full county board and make our case for the final time. Please show up tonight and tell the county board that Dane County renters deserve the same services as City of Madison renters, including help with landlord entry, repairs, getting a security deposit back, breaking a lease, non-renewal, notices of increased rent and wading through the eviction process and what all the notices mean. These are legally tricky issues and people can’t afford lawyers to sort this all out – and given the law changes in the past three years – this service is needed more than ever. If you can’t make it tonight, email county supervisors at county_board_recipients@countyofdane.com or contact them individually. Ask your supervisor to support and amendment to fund one staff person at the Tenant Resource Center at $50,000 so that we can continue to do basic housing counseling for tenants that do not live in the City of Madison. Amendments are due Monday at 10am, they will have a hearing on any amendments submitted on Tuesday at 5:45 in Room 351 of the City-County Building. Mark your calendars now. We will need people there to support this amendment. I believe we will have Jenni Dye and Heidi Wegleitner’s vote, but after that . . . I’m not sure we have the votes. And we may not even get an amendment if it will just fail. So if you have personal connections to any of the people on this committee, it is very important to contract them personally. 4. Contact Personnel and Finance Committee Members. If we are unsuccessful at Health and Human Needs, we have one last shot (realistically) at Personnel and Finance Committee. We would need someone to sponsor an amendment (doesn’t need to be on the committee) and then we’d need the votes, which honestly doesn’t look promising here either, but we have to try, and crazier things have happened. Hopefully they will think about what this means to their constituents and forget how much they hate me personally. And the list of emails. #5. Volunteer for Housing Counseling! Work directly with clients and help them solve their housing problems! This is engaging and highly rewarding work, with a minimum commitment of only 3 hours/week for a year, and we provide extensive training and support. We are holding our fall training October 29 & 30. For more information and to get involved, click here. For housing professionals, check out our Housing Law Seminar in Madison on October 29 and 30! More detail TBA here, so stay tuned! #6. Donate skills for office work! Looking for a more casual role than housing counseling? We need help with administrative tasks to keep our doors open! E-mail Matt Kozlowski, our Office Manager: koz@tenantresourcecenter.org. #7. Donate time to our gigantic mailing! Help us get the invites out for our November 13th fundraiser! We are having a mailing party Saturday and Sunday, September 26 and 27 from 10am - 4pm at the Social Justice Center. Lunch will be provided. Contact Anders: anders@tenantresourcecenter.org. #9. Become a sustainer! Any donor can do this with a monthly contribution. It’s easy, convenient, and it helps us maintain smooth funding throughout the year. Set up yours today on our Sustainers page! #10. Just DONATE! Watch as we stretch your money farther than you thought was possible! No amount is too great or too small. A donation of $25 can help four to six different people work one-on-one with a counselor to avoid eviction, get their landlord to make repairs, or apply for an apartment. A donation of $500 can provide one month of bilingual services to our Spanish and Hmoob-speaking community members. #11. Donate an item to the silent auction! Are you an artist or craftsperson? A local business? Can you teach piano, or bake a dozen cookies? Our silent auction brings in the most creative prizes and local gifts in town -- let us know what you can contribute! E-mail Anders: anders@tenantresourcecenter.org. #12. Donate food or a gift card from your favorite restaurant! To help with our menu for the event, contact Anders: anders@tenantresourcecenter.org. Lucky #13. Join us on Friday, November 13th! R.S.V.P. below, and don’t forget to spread the word and thank our sponsors! !